You're just 3 minutes away from a healthy new lifestyle. #1 reason people don’t work out? Time. We’ll give you the workout AND save you time. Shorter BURST training workouts have been use by Olympic athletes for years because of the proven effectiveness. Login from your laptop, desktop, tablet or smartphone and do your workout anywhere! No gym required. Our mission is to empower you with simple and effective fitness solutions that will save you time, maximize your time, and free up quality time so you can invest in who and what is most important to you. Our philosophy is simple: Go hard. Save time. Get more. Gone are the days of having to sweat for hours to try to burn fat and shrink your waistline. 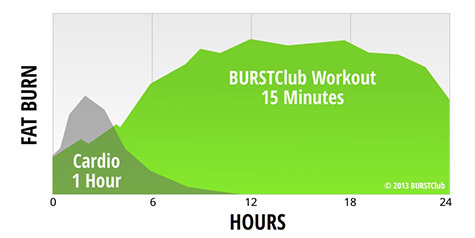 BURSTClub’s exclusive mobile burst training programs take a quarter of the time of most workouts and will get you burning up to 9x more fat. You can say it…It’s About Time. Think of BURSTClub as the mobile “gym in your pocket.” We offer custom designed workout programs and personal coaching - all conveniently located at your fingertips. Too many of us are stressed out, on overload, and constantly running on the treadmill of life - yet not getting the results we want. Making it to the gym or working out for hours feels daunting. We get it. Your time is valuable. That is why BURSTClub is all about time. We're Offering You A Money Back Guarantee! SIMPLE – Just log in daily, push play on your music, and BURST! Where conventional exercise methods can take hours a day yet leave us frustrated by little to no results, our BURST training programs get you the ultimate, 24-hour fat-burning response in just a few minutes of exercise. 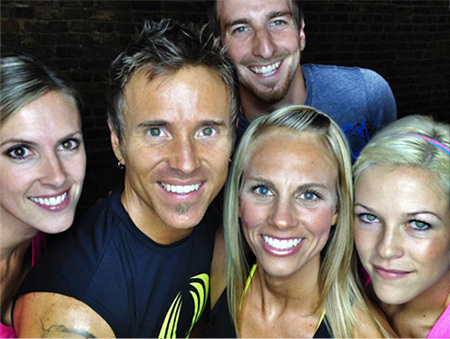 Our 3 Sets, 3 Rounds, 3 Minute™ system contains the secret to a rockin’, healthy bod. So what are you waiting for? Let’s BURST! Burst Training, similar to High Intensity Interval Training (or HIIT), is short, intense bursts of exercise followed by a brief rest. 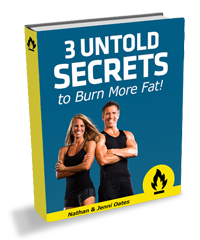 Studies show that burst training is the single most effective way to exercise to burn fat. Exclusive to BURSTClub™ is B.U.R.S.T™ - Body’s Ultimate Response Shock Training™.